You can also grab image and rotate it! Try now! Released by Unitron on February 11, 2018 the Unitron Moxi All R 700 Rechargeable falls under Unitron`s standard technology level within the Moxi All Rechargeable family. As standard technology, this hearing aid is the third best technology that Unitron has to offer, making it a solid choice for individuals with casual lifestyles, who need hearing aids that can deliver great sound quality in almost all environments. For individuals who spend a significant amount of time in noisy environments, a higher technology level should be considered for better perfomance in noise. They are completely automatic, stylish, rechargeable, very easy to use, and they are also built for direct connectivity to Bluetooth mobile devices, so you can answer the phone through your hearing aids, without any additional accessories. Moxi All is compatible with Android and iOS devices. The Unitron Moxi All R 700 Rechargeable hearing aid has 16 channels and 4 customizable programs, and that gives it the flexibility to digitally process sound in a way that sounds natural, and can also be adapted to the particular listening environment of the wearer. The Moxi All R 700 Rechargeable can be powered by either a rechargeable silver-zinc battery, requiring overnight charging, or a traditional size 312 disposable hearing aid battery which will need to be changed weekly. With a maximum potential gain of 66 SPL, the Moxi All R 700 Rechargeable is suitable for individuals with mild to severe hearing loss. With its discreet RIC (receiver in canal) style, the Moxi All R 700 Rechargeable sits comfortably behind the ear and is hardly noticeable to the wearer or others. This hearing aid is available in 12 color choices as shown below. If you have questions about the Moxi All R 700 Rechargeable that you don`t find answered on this page, or are looking for specs on this device, you might want to check out the downloadable documents (below), visit Unitron`s website, or feel free to give us a call at 800-731-6794. We're about to get everyone talking with Moxi™ All. The ONLY made for all hearing aid that connects direct to ear for ALL conversations with ALL the freedom of rechargeables on ALL mobile phones*. Now hearing loss patients can have it all, with Moxi All. 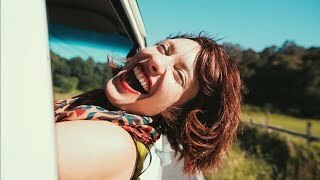 Watch Anna, a hearing loss patient, as she experiences the benefits of Moxi All hearing aids. Moxi All, with rechargeable option, connects direct to any mobile phone, hands free; enables wireless sound for TV (with the TV Connector accessory); and works with the Remote Plus app to enable her to adjust volume and settings, and rate and share her in-the-moment listening experiences with her hearing healthcare provider. Anna can have it all, with Moxi All. The award-winning ZPower Rechargeable System makes current or new hearing aids rechargeable and is capable of energizing today’s most powerful hearing aids for a full day of uninterrupted use. Simply set device on a charging stand overnight, instead of replacing batteries every few days. No more fumbling with tiny batteries. Batteries are replaced annually by hearing aid professional. One pair of ZPower microbatteries can take the place of an estimated 200 disposable batteries per year. The TV Connector allows you to stream high-quality stereo audio from your TV directly to compatible Unitron hearing aids. It also works with laptops, tablets, and stereos. Using the TV Connector is easy and convenient—and it's surprisingly fun hearing just as well from the kitchen or another room as you do sitting on the couch in right front of the TV. The TV Connector has a range of 50 ft., so you are free to roam while listening. If you wander out of range, the TV Connector will automatically stop streaming and then start again when you return. If your hearing aids are connected to your mobile phone and the TV Connector, you can still receive phone calls through the hearing aids. Audio from the TV Connector will pause when the call comes in, then continue automatically after you finish the call. One of the best things about using the TV Connector with your hearing aids is having your own volume control, so everyone can listen to the TV at a comfortable volume. It's also ideal for late night binge watching when others are asleep! Unitron’s Remote Plus app provides convenient control of Moxi All hearing aids. Available for iOS or Android smartphones, Remote Plus allows you to mute and unmute, control volume and change programs without having to touch your hearing aids. Paired with the Unitron TV Connector, the Remote Plus app can adjust the balance between your television and the surrounding environment. 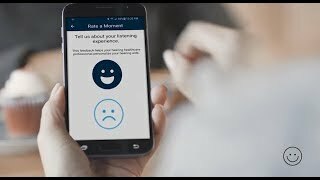 If your audiologist or hearing instrument specialist offers the My Ratings feature, you can share in-the-moment impressions of your hearing aid experiences with your hearing healthcare provider, via the app. The Remote Plus app includes a demo mode, so you can give it a try, even if you don't have hearing aids yet. Based on the results of your hearing test, your local ZipHearing provider will professionally fit and fine-tune your hearing aids to your unique needs. Once your hearing aids have been fitted, you'll have 45 days to evaluate them. All appointments with your local provider during your 45 day evaluation period are included at no additional cost. If you decide to return your hearing aids within the evaluation period, you'll be issued a 100% refund. Once your 45 day evaluation period has concluded, you are entitled to an additional 3 follow-up appointments during your first year of ownership at no additional cost. After your first year of ownership or 3 follow-up appointments (whichever comes first), office visits will be billed at a rate of $35 for appointments lasting 30 minutes or less, and $65 for appointments lasting 30 minutes or longer. This hearing aid will come with a manufacturer's 2 year repair warranty and 2 year loss and damage warranty. As one of the few authorized Unitron retailers on the web, you can rest assured that no matter what happens to your hearing aids during this time period- you're covered with a full factory warranty. A small docking/recharging station is included, along with (2) rechargeable batteries. Simple cleaning & maintenance supplies will be provided by the manufacturer and given to you at your hearing aid fitting appointment, along with rubber or silicone domes, and wax filters, which your hearing provider will show you how to use, ensuring your hearing aids remain free of wax, oil, and other debris. When I was getting fitted, my audiologist told me that the hearing aid automatically supported audio streaming from my cell phone, however when I received the devices, they actually required a third-party application to stream content other than an actual phone call. The third-party apps that support this are limited and generally do not deliver good sound quality. Additionally, because of the way the Moxi All 700 Bluetooth link operates, it is not bi-aural (I can only receive streaming audio (phone or music) in one ear piece). The Unitron phone app is basically useless. The only thing that can be controlled is the volume levels in ear ear piece. The only device information is provides is the average time the ear pieces are on each day. The hearing aids actually operate very well. The biggest problem has been getting a reliable, rechargeable battery to allow me to wear them throughout my active day (15-18 hours). The rechargeable batteries have terrible quality control. I replaced three in the first 45 days after getting my devices because they wouldn't hold a charge more than a few hours and took more than eight hours to recharge. The charger software may also have some issues in properly sensing the charge levels in the batteries. There have been times when it indicates a device is fully-charged, but when I put it on, it was completely dead. Alternatively, if I remove a device that the charger shows as fully-charged, and then immediately place it back in the charging station, the charger begins blinking green for a significant period of time which indicates the device is charging again (not fully-charged). Note: Hearing aids are not shipped direct to customers. All hearing aids will be shipped directly to the local ZipHearing provider, after having received the order from their office. Your review will be made public within 24 hrs. There aren`t any ZipHearing providers near you. Please come back and try your search again in a few weeks - new providers are always enrolling! Our service is only currently available in the United States. We`re sorry we couldn`t help you. Please come back and try your search again in a few weeks - new providers are always enrolling! We don`t have a ZipHearing provider near you that carries that brand. Are you open to considering other brands? Many online companies simply mail your new hearing aids to you, with no local service included. We believe people get better results with their hearing aids when they work directly with a local hearing provider for the proper fitting, fine tuning, cleaning, and re-calibration of the hearing aids on an ongoing basis. That's why all of our hearing aids include a 1 year local service plan at no additional cost. Find out who your local hearing provider is! Send us a message, and we`ll call you within 30 minutes - or take $100 off your hearing aids! You caught us outside our business hours of 7am-5pm PST (M-F). Let us know when you`d like a call and we`ll get back to you when we`re in! Thanks! We`ll call you in a few! We`ll be in touch soon! Thanks! We'll be in touch soon! Please check your email and click the link to confirm your subscription. Sign up to get our blog posts and newsletters delivered directly to your inbox.